Dramatic reunions are the stock-in-trade of We’ll Meet Again, the PBS series hosted by Ann Curry. In the latest installment, Surviving the Holocaust, which will be broadcast on Tuesday, November 20 at 8 p.m. (check local listings), two Jewish men discover the power of friendship. 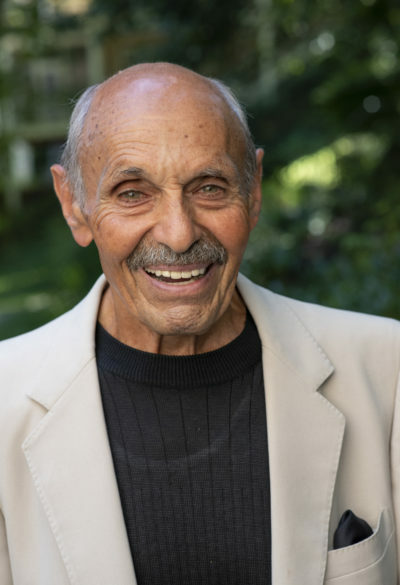 Benjamin Lesser, a Polish Jew from Krakow, is a survivor of the Auschwitz-Birkenau extermination camp in Poland and a Nazi death march. In 1945, after World War II, he met Moshe Opatowski who, like Lesser, had lost many members of his family during the Holocaust. They became great friends and considered each other “brothers.” They were both supposed to immigrate to Palestine, but Lesser had to pull out, forcing Opatowski to go without him. Lesser settled in the United States in 1947, married, moved to Los Angeles and ran a successful real estate company. Now 88 and living in Las Vegas, he lost touch with his old friend, but always dreamed of meeting him again. 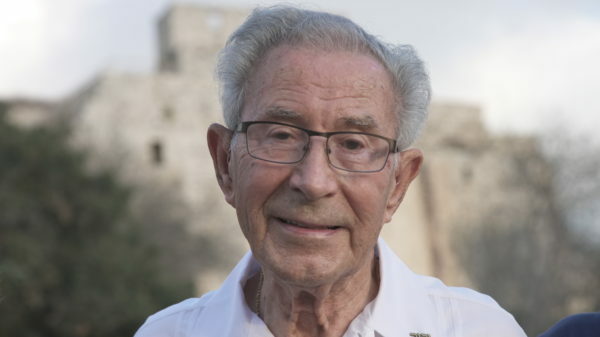 Ben Alalouf, born in a bomb shelter in Nazi-occupied Yugoslavia, was an infant when his parents left their home under duress. For the next three years, they lived in fear, never knowing when they would be picked up by the Germans and their collaborators. In 1944, they reached the safety of Naples, Italy. Shortly afterwards, they boarded a U.S. vessel, which brought them to the United States along with other Jewish refugees. He was sent to a special camp in upstate New York, where he made friends with a girl named Secca. She was his first friend in the United States. Due to circumstances beyond their control, they were separated. Alalouf and his family settled down in Brooklyn in 1946. He went to college, enjoyed a career as a school teacher and principal and raised a family. Now 77, he never forgot Secca, but had no idea what had happened to her. He, too, was consumed by a deep desire to see her again. Ann Curry, an empathetic listener, interviews Lesser and Alalouf, both of whom are eager to tell their respective stories. She succeeds in extracting vital information from them, thereby creating moving portraits of two Holocaust survivors whose lives are enmeshed in the past. With some assistance, Lesser manages to track down Opatowski, who lived on a kibbutz in northern Israel and sired two children. Lesser watches a video in which Opatowski touchingly refers to him as a “brother,” and makes plans to meet him in Israel. Alalouf, meanwhile, finds out that a man who may be Secca’s brother lives near Baltimore. They exchange stories and share photographs. Much to Alalouf’s delight, he learns that Secca is alive and well and that her maiden name was Flora Kalderon. Known today as Flora Friedman, she’s a grandmother who resides in Nashville, Tennessee. Each of the segments in Surviving the Holocaust tells a riveting story and leaves an impression. « Should All Nationalism Now be Considered Evil?